Well-appointed stateroom or suite accommodation: featuring unobstructed ocean views, marble lined bathroom with multi-jet shower, Bvlgari® bath amenities, personalized stationery, superior Belgian bed & bath linens and more. All gourmet meals expertly prepared a la minute with the freshest of ingredients– served open seating in our Dining Salon or al fresco at the outdoor Topside Restaurant. Water “toys” from the yacht’s marina including wave runners, kayaks, personal sailboats, stand-up paddle boards, snorkel gear, water skiing, wake boards, swim platform, banana boat and floating island. Crew-led shore side activities like hiking and biking with the Activities Manager, or go shopping with the Chef. 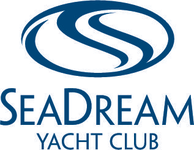 The twin luxury mega-yachts, SeaDream I and SeaDream II, sail to small yachting playgrounds, harbours and ports where the big cruise lines cannot reach, while guests also enjoy ocean view cabins and five star cuisine.